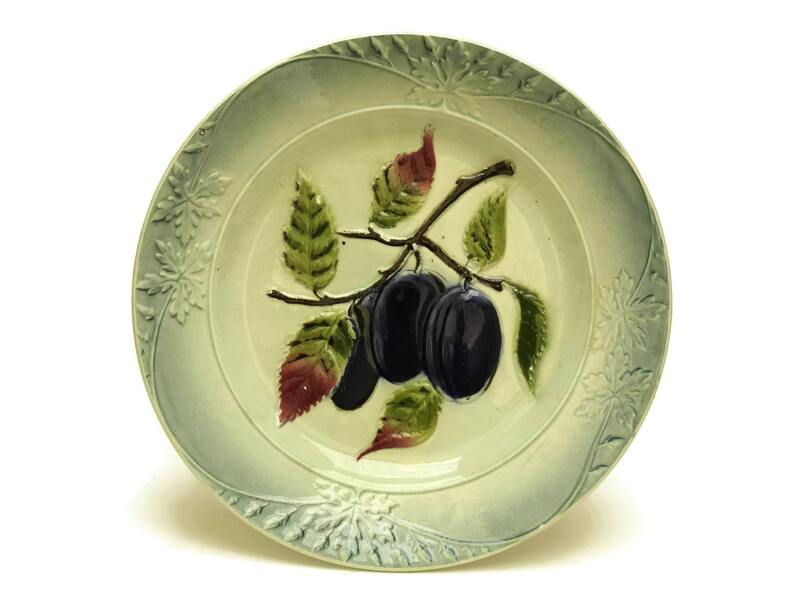 A charming antique French majolica fruit wall plate dating to the early 1900s. 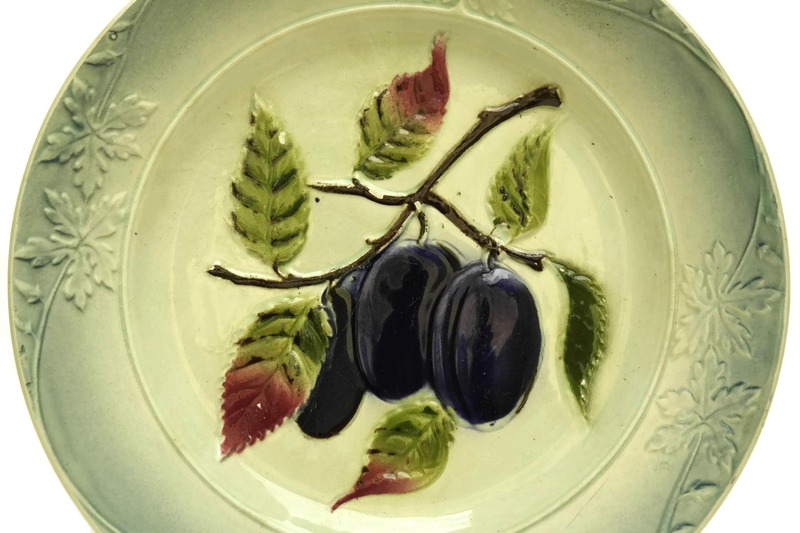 It has been decorated with a relief design of a bunch of ripe plums on a branch. 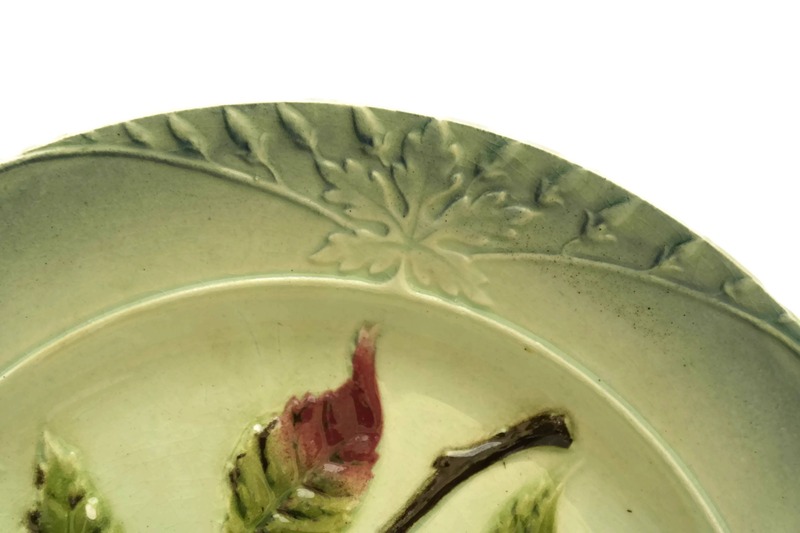 The ceramic plate features an ornate floral border which has been glazed in a light shade of teal. 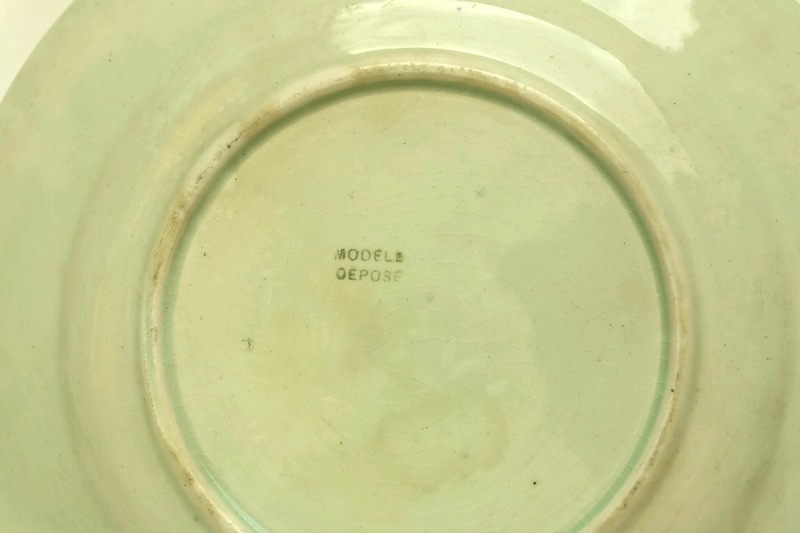 The underside has been stamped with the manufacturer's marks. 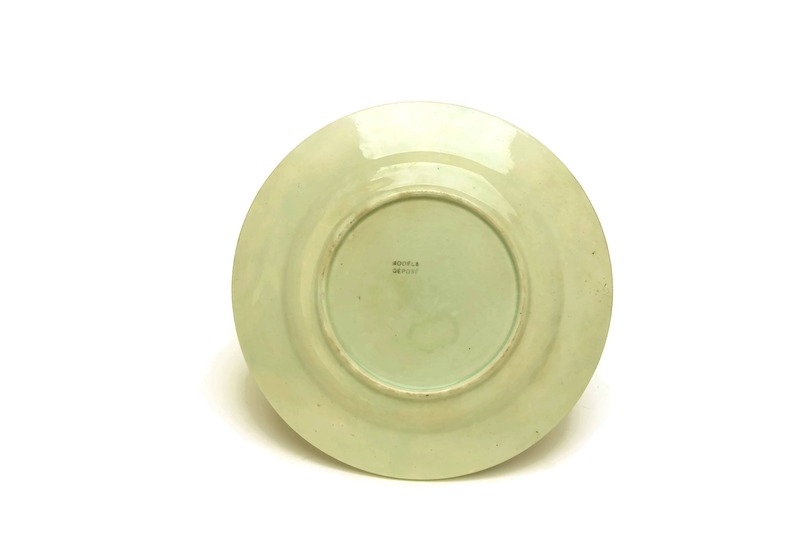 The plate is in good antique condition with fine crazing and some discoloration marks to the glaze. There are small flakes to the glaze on the branches.